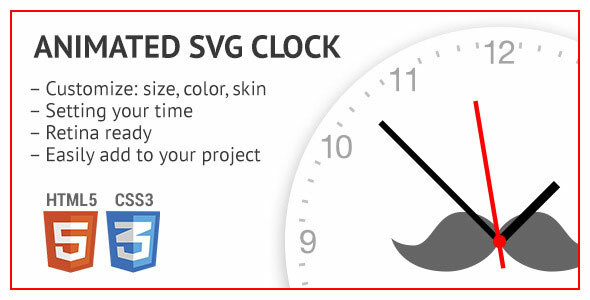 Analog clock for your project or site team. It is possible to change the appearance (color, size), add a unique design. Ready for retina displays. Easily integrated into the project. The product includes several designs. You can easily add your own design!